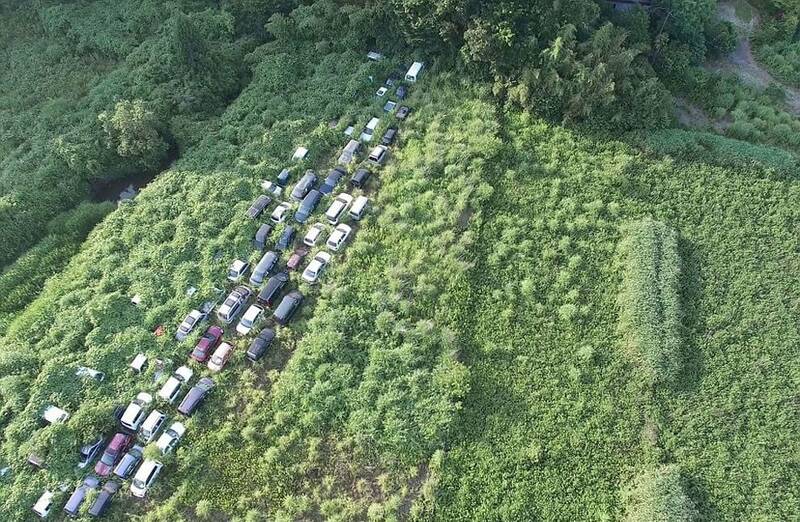 A stunning new photo project offers unprecedented insight into the wild and desolate exclusion zone surrounding the Fukushima nuclear power plant – where tonnes of contaminated soil lie untouched and overgrown forest is engulfing hundreds of abandoned vehicles and homes. The 12.5-mile exclusion zone around the nuclear plant now resembles post-apocalyptic scenes from The Walking Dead after it was instantly abandoned following the 2011 nuclear disaster. People deserted the area after warnings of dangerous levels of radioactivity, leaving cars, classrooms and libraries to be swallowed by the overgrown wilderness in stark scenes reminiscent of those seen in the show, in which entire towns have been left in stasis after zombies overran the earth.